A few days ago, Little Miss Harper wanted to help me make lunch. I love her eagerness to help and her interest in learning. But, on this particular day, I wanted to keep her busy and out of the kitchen, as I was in the middle of a project. I asked her if she wanted to make paper sandwiches while I made lunch, it sounded appealing to her! I had a collection of paper sandwich fixings ready for an occasion like this. I found a yellow glue stick to imitate mustard. Harper was all set to make sandwiches! You will need a glue stick. 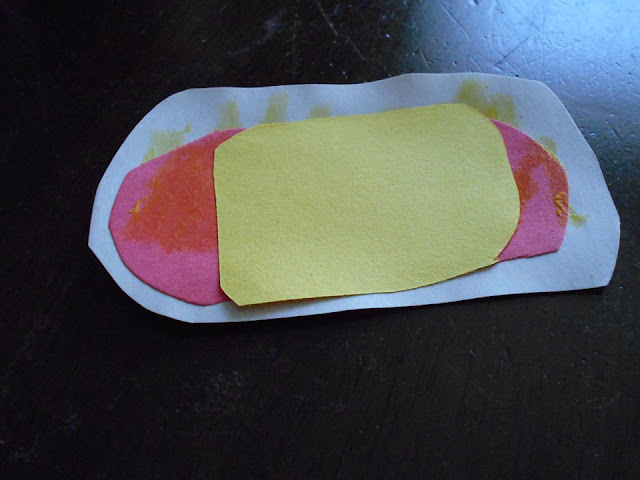 Red or Yellow is fun with this paper food craft, like ketchup and mustard! As you can see, this activity is completely basic. 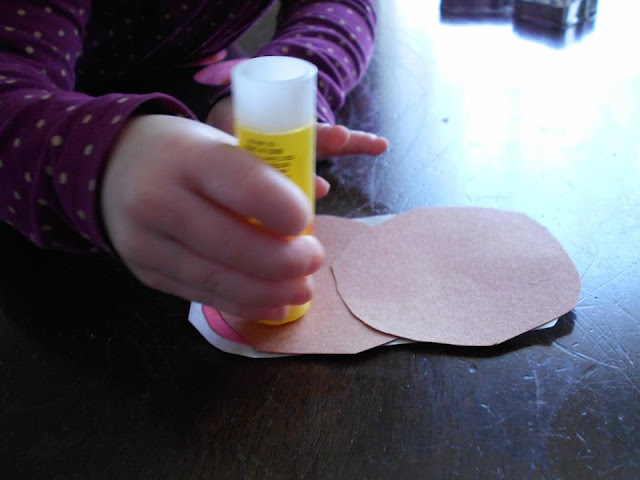 Construction paper and glue. I offered Harper ample supplies for building sandwiches. To keep her busy and having a lot of fun! She began by adding mustard to the bread and adding tomatoes. Harper was completely into this craft. She loved making sandwiches. She added layer upon layer, happily crafting while I made lunch! 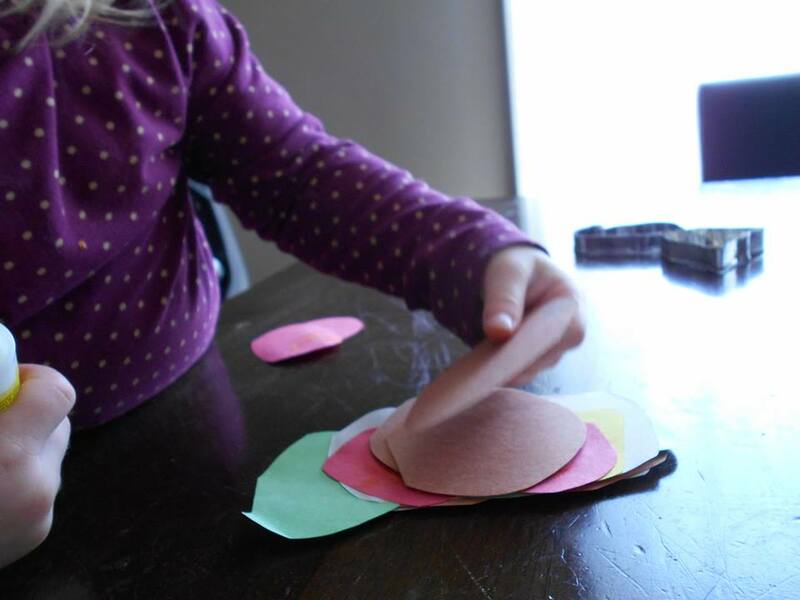 My kids both love a good paper food craft! 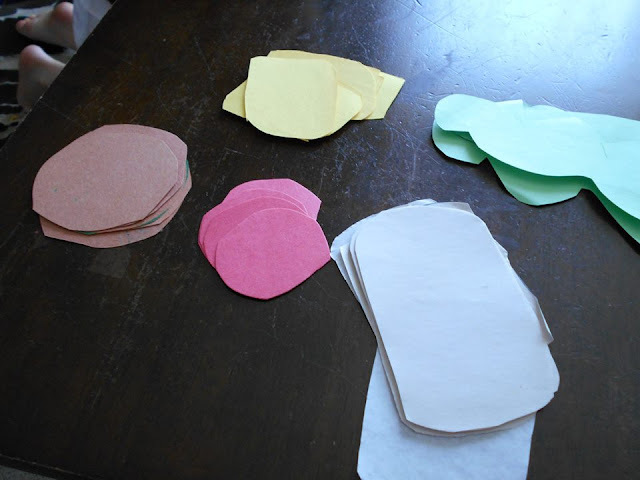 If I find myself with a few extra moments and a pack of construction paper I make little craft bags for occasions like this day. They are always a huge hit with my kids. They have enjoyed making paper cookies, paper pizzas and paper jam sandwiches. 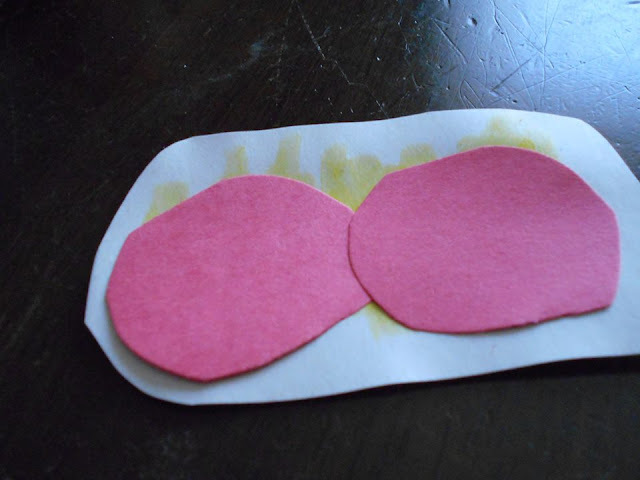 These are the best kind of kid food crafts in my opinion because they are virtually mess free and they are really a lot of fun!